Technology is the study of the systematic application of techniques, devices, implements, knowledge, and materials collectively called tools to alter the conditions of human existence. "Mankind does nothing save through initiatives on the part of inventors, great or small, and imitation by the rest of us. Individuals show the way, set the patterns. The rivalry of the patterns is the history of the world." or "techne" is the GREEK word from which technique or tool is derived. The word technology was earliest used in relation to the arts; that is the practical arts of ably using tools as implements to make things. Generally techne also meant any skill in doing, or a professional competence in executing some means of creating useful and beautiful objects based on a knowledge of materials. By professional we mean the capacity of someone with such knowledge and skills to earn a living; making money with the arts of woodworking, metallurgy, or stone masonry, for example. Derived from tekton, techne literally means to join or to fit together. • So closely related to tekton, the Greek word for carpenter, is the word techne that the way in which carpenters join two pieces of wood together reveals significant implications for the term technology. • Carpenters by dovetailing two parts to one another or by fitting together the mortise with the tenon (as seen here) fit two different pieces to form a larger structure. 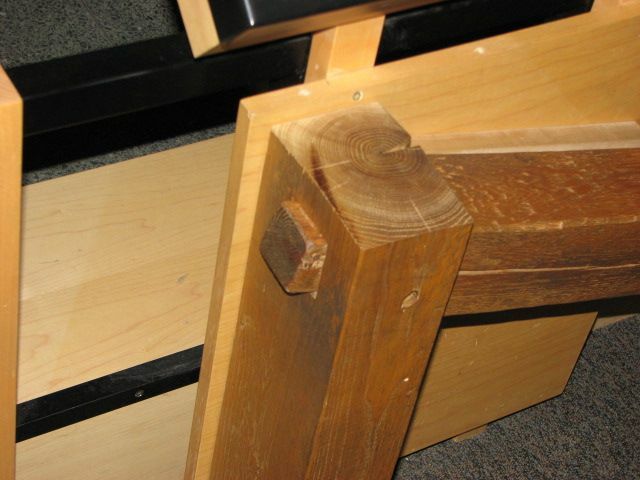 A mortise and tenon joinery. One section of the wood pieces being joined together was the inverse of the other piece so the protruding portion fit snugly into the recessed portion. 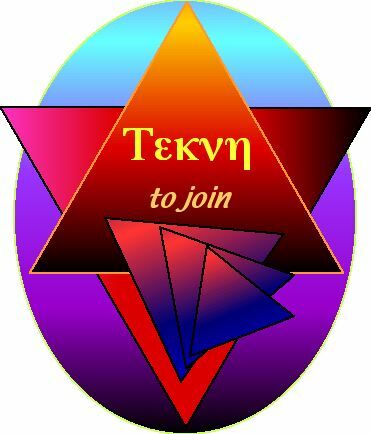 As with weaving or joining two things together, there are both artistic and sexual overtones to the word Tekne -- Tekton. Both inferences – the object and its user – are conjoined, or brought together, because tekne refers to the performance done with some artistry and the process of creating something new from joining pieces or parts together. The artistry and the artist, as it were, together are implied by the use of techne; hence the French and English word technique. Simply: technology is the study of how tools, devices, instruments, and parts fit together in a functionally organized whole for the accomplishment of specific tasks, ends, intentions, or goals. On an apparent or formal level, technology is the study of how we use of tools to solve problems. Los Angeles suggests the extent to which the scale of modern technology dominates landscapes. 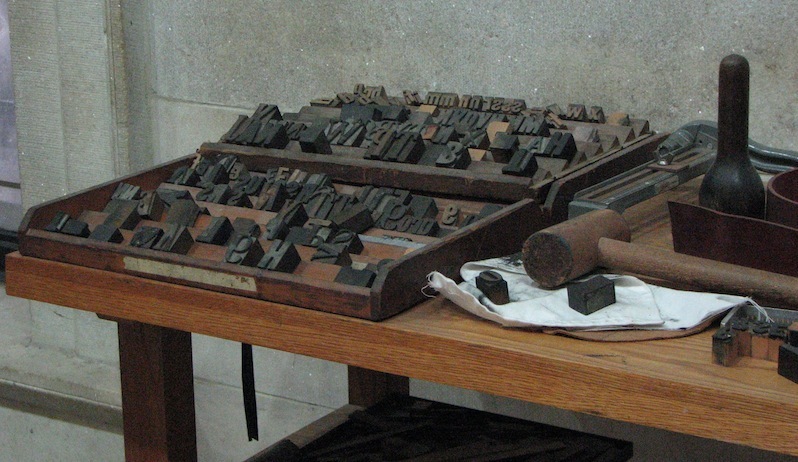 The widespread use of putting words in alphabetical order is a relatively new form of organization that came after printing –and well after writing. Here an original thinker and scholar of technology –Ivan Illich– argues that "alphabetizing" emerges from being a mere tool into becoming a more influential technological breakthrough in printing with movable type. "These shifts can . . . be understood as a reflection of a new mentality and economy during the twelfth century." To compare see time line. "The changes in literate technique can be viewed as a response of the clerical trades to the demands of princes, lawyers, and merchants. But I want to look at this interaction between society and the page from the particular perspective of the impact of the recording technology. How did the use of new techniques foster new ways of conceiving reality?" "This alphabetical technologization of the word had enormous consequences both on a practical and a symbolic level." Ivan Illich, In the Vineyard of the Text, pp. 96-97. Note: for a similar argument see Postman in Technopoly, the chapter about Invisible Technology. Technological literacy involves the ability of students to understand how knowledge, ideas, institutions, people, and behavioral norms work together to characterize the ETHOS of a culture. ETHOS, The disposition or customs common to members of a group. 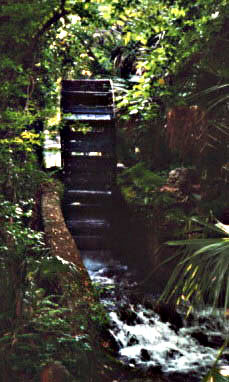 Here the water diversion into a mill race is used to suggest the central role of water in the social reliance to grow food, produce materials, and sanitize living conditions. All of these uses rely on water. Both to refine products or to facilitate intensive agriculture, the control of water is crucial to civilization. While the growing of wheat, rye, oats, potatoes, corn and beans was strategically essential to the success of agriculture after the discovery of the Americas a certain technical deficit with regard to skills and implements was revealed between Eurasian technical capacity and American native peoples. For example, Aztec people of Mexico and Inca people of Ecuador, Peru and Bolivia, were Native Americans who did not employ a water wheel as was done in Asia, to lift water from a lower to a higher level. Both were very skillful in the control of water for agriculture to sustain very large and densely settled populations, even without water wheels. 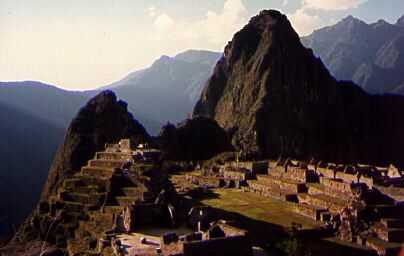 Machu Pichu, Peru [shown above] was a site that required sophisticated removal and redirection of water for inhabitants to prosper. Technological literacy : Give examples from Pacey or Pursell the use of tools to reveal or characterize the ETHOS of a culture. Tools are not merely amoral instruments that facilitate culture, but are expressions of behavior, an indicator of social psychology and an individual gestalt. For that reason it is important to understand what a culture cherishes, rewards, and punishes. That is to say, what do members of a society do that is rewarded? How does that differ from what is not permitted, banned, or restricted? Those rewards and punishments will reveal the characteristics that any culture reveres and those traits it abhors. For example, water lifting devices had to be maintained in African and Asian cultures whereas water channeling technologies thrived in the Andes. While geography dictated to some extent what tools were employed, rewarding craftsmen in maintaining these essential devices for water conveyance revealed the character of a mountain society based on root and grass crops. In contrast, desert peoples needed to lift water. The development of water and rice crops in Asia were a demanding, though nutritious, flood dependent form of agriculture. Thus understanding the ethos affords a better understanding of how technology conveys human desires to order the world. Ethology with respect to how tools are used also reveals a desire to liberate forces to accomplish work. In the west especially, but originally in China and the Near East, technology was used to master, wind and water, or the otherwise unobtainable energy of falling water, or wind, or electricity in places where these natural forces were readily apparent. Because of the complexity of the tools used to build water mills and wind mills, these devices formed a sophisticated tool complex. The future development of hydraulic based tools, the mill, and the millwrights as a practice eventually led to formal engineering education which is still an applied form of training today because it serves socially sanctioned, institutionally approved, and civically desirable ends such as drainage, sanitation and pumps. 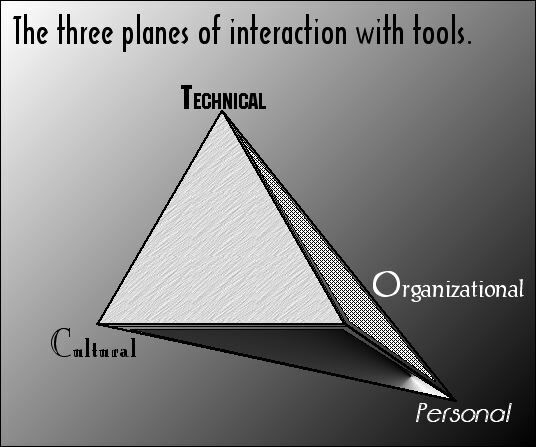 Tools are complicated not just because as part of a tool complex they contribute to a tangible meaning of technology. These tools and the tool complexes that they are part of can be understood to have three dimensions. These three aspects, facets, or dimensions of technology are part of the pervasive quality that tools manifest in our lives as evidence for the power of technology to shape and then re-shape people, places, and things. The purpose of anything according to Aristotle was its TELEOS; the end, goal, or meaning of an action, person, place, or thing. The purpose of technology is to bring about a desired outcome, or to replace existing conditions with a different set devices and tools to solve problems. By understanding all of the causes of events it is easier to examine the complexity of human motivations. Of these reasons why events occur as they do, the immediate and underlying causes are important. They are clues that lead to particularly the ultimate cause for actions. The ultimate or end purpose of some process, intrigued Aristotle. The formal cause: wind moves the mill's arms. The proximate (or immediate) cause: air pressure shifts & moves winds. The underlying cause: warm air rises as it's molecules expand moving apart. Teleological (after teleos) cause: the purpose or end result to which events strive. Aristotle was impressed by his study of embryological development in humans and animals. Thus he concluded that the formal, immediate, and underlying causes for change in people and things was the outward, persistent and current expression of some deeper and hidden facet of change that moved toward some end. That end point he called the teleos. Aristotle's approach suggests that all tools, technology, and artifacts possess a purpose. Pursell refer to this as intentional use of apparatus to create a desired outcome, end, or effect. Since the Greeks, the twin purposes of art and artificial creations were to combine both use and beauty. These twin values are cherished in western culture, but not often joined. Uses are often attributed to natural or ecologically valuable things we create when crafts people combined physical or biological ingredients with human skill, imagination, and ingenuity to create an artifact, or a work of art, science, engineering, architecture, or construction. Tool use requires, practical dexterity, application of forethought to solving problems for which the artifacts, devices, or utensils are designed, and some ultimate goal or purpose of the ultimate end to which these instruments or engineering are directed; but guided by our ethos, ethics and beliefs. All three facets of technology are necessary to describe the three-fold power of techniques and technical proficiency in our personal and collective lives. Heather Lecthman, an anthropologist quoted in Pursell's White Heat, comments on the behavioral relation of artifacts, techniques, tools, instruments, implements, and technology to human emotions. The above planes intersect at the personal level like three dimensions in a room define the space available for activity to take place in the room; these relations arise from the personal and the social capacity of tools to shape the world of their user and the user as the technology is used. Technology's relations form a matrix of potential inventions and tool complexes. Be able to apply our definition, the etymology and the three aspects, facets or dimensions of technology to any tool , tool complex of set of technical arrangements you read about. How to think about the complexity of any tool use and technology. what it does ? how it is used ? extent it shapes behavior ? related to ? who controls the parts ? organizes people's actions ? consequences ? pervasive influences ? recreates our shared world ? Heather Lecthman reflects on the relation of human behavior to artifacts, techniques, tools, instruments, implements, and technology. 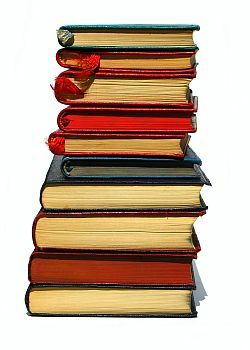 Terms | Glossary | Word webs | Basic vocabulary | Advanced Vocabulary | Antonyms | Synonyms | rare | obscure | really? Last Updated on 12 September 2005, 25 May 2010, 27 August, 2012; and July 9, 2013.